It doesn't take a whole lot of hard training for an Endurance Athlete to develop an appreciation for their recovery days, but unfortunately what is often missed is the "why" behind the various recovery techniques that are central to endurance sports like cycling. In this episode of the BWC Podcast, Coaches Brian and Brady overview why recovery is important before delving into specific Active Recovery Strategies that can help take your training to the next level. As Coach Brian details in the podcast, "bodies are built in bed, not during training", emphasizing that all the hard training in the world is no good if our bodies are not given the chance to recover properly. We hope you enjoy this episode of the BWC Podcast and can apply the lessons discussed on your way to a season of success in 2019 and beyond! The concept of "Marginal Gains" is a hot topic for Athletes everywhere, and for good reason, the notion is founded on solid logic: a series of small gains, when combined, add up to significant improvements that will lead to a break-through performance. With that said, there are pitfalls with this concept, most notably because Athletes everywhere have limited-time to invest in improving their cycling performance. So what portions of your cycling are worth applying the "marginal gains" concept to? Find out on the latest episode of the Big Wheel Coaching Podcast! BWC Podcast Episode #5: Fred Archambault Tackles His Most Difficult Physical Feat Ever At The San Dimas Stage Race! The San Dimas Stage Race is a three-day bike race that consists of a brutal uphill time-trial, ruthlessly undulating road race, and hair-raisingly technical criterium. In the events' 20-year history winners at every level have gone on to make their mark at the highest levels of cycling, but the event is about far more than the few Athletes that find their way to the podium. The physical demands of this stage race change every Athlete that participates and pushes them to limits previously unknown. Fred Archambault is one such Athlete, having never competed in a stage race before, let alone a three-day event. Put simply, Fred came into the event wide-eyed and hoping to finish each stage. 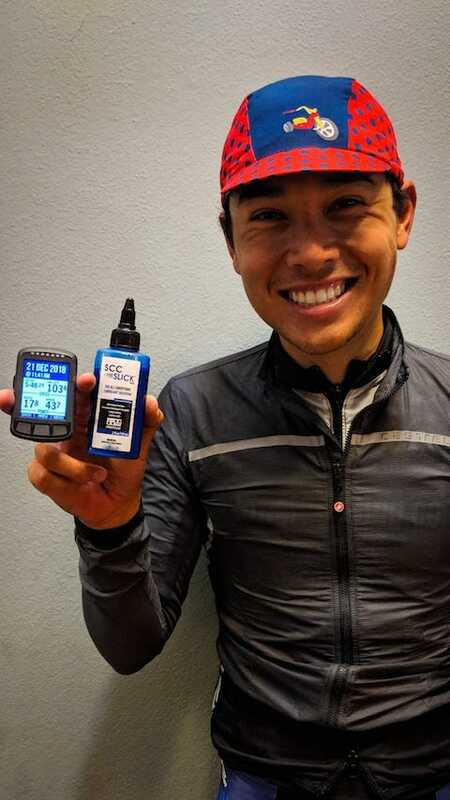 The exciting news is that he left having accomplished his goal, and more, all while gaining a greater appreciation for his cycling journey that started with losing 100-lbs.! Check out this weeks BWC Podcast to get the whole story and learn a bit more about Fred, as well as his incredible journey from unfit guy to competitive bike racer! We hope you enjoy this episode of the BWC Podcast and can apply the lessons discussed on your way to a season of success in 2019! 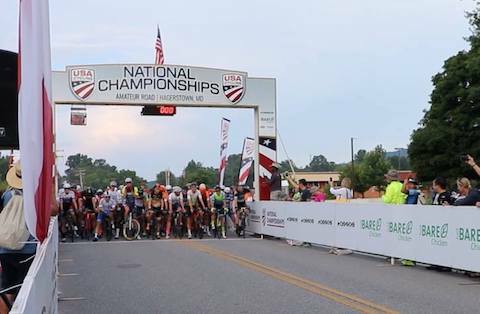 For cyclists everywhere it is common to focus on one discipline of the sport, be it MTB, road, cyclocross, track, etc., but for Collegiate cyclists across the country they typically compete in multiple disciplines of the sport each season. What's more, because these Athletes roll from one discipline and 'season' into another, there is little time for specific preparation and training. 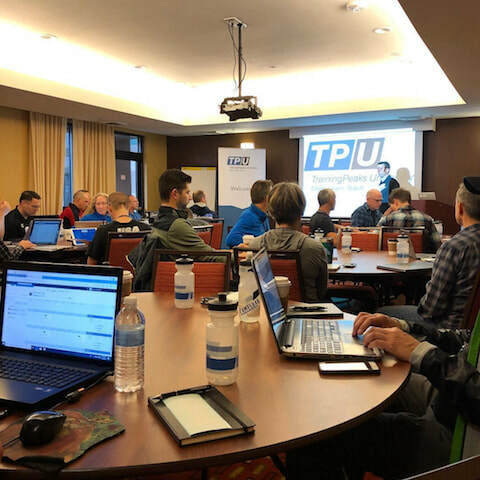 This presents Collegiate Coaches with a unique dilemma, preparing Athletes for a successful season, including competing for a national championship, in road or MTB while they are currently competing in a completely different discipline (track, BMX, cyclocross, etc.). Having been both an Athlete at, and Assistant Coach for, Lindenwood College in St. Charles Missouri, Coach Brady learned and implemented innovative ways to help his Athletes prepare properly to perform their best all year long. Now he is sharing those lessons learned and creative ways to achieve top-shelf fitness with his BWC Athletes. 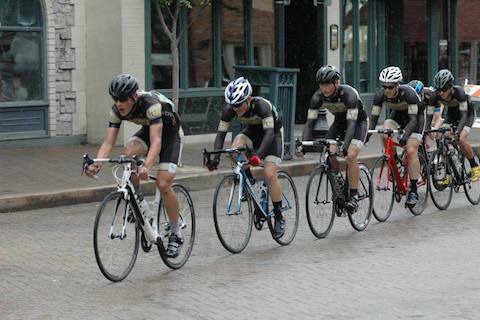 In this episode of the BWC Podcast he shares a few of his best "lessons learned" from Collegiate Coaching that you can apply to make your training time as effective as possible. We hope you enjoy the podcast and can apply the lessons discussed to help propel you to success throughout 2019! 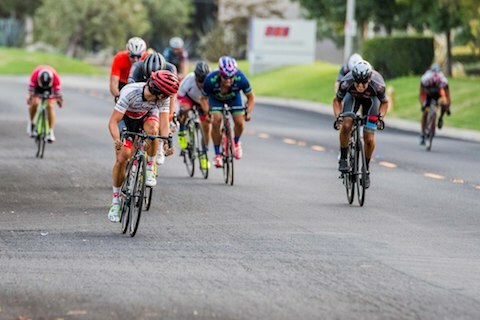 The Redlands Bicycle Classic is the opening round of the USA Cycling Pro Road Tour and is the longest running professional stage race in the United States. And we are excited to share that BWC is there! Coach Leo is two-days into his second time tackling this prestigious event and is riding very well! 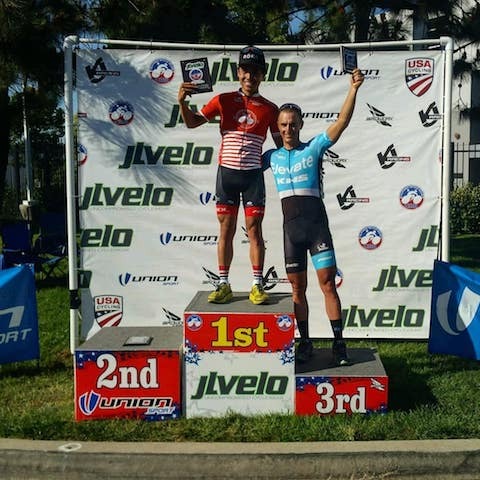 In this episode, he and Coach Brian talk about his preparation for the Redlands Bicycle Classic and how the lessons learned at the professional level can help every cyclists achieve their best. Developing Mental Toughness: A TrainingPeaks Article Reviewed ‘In-Depth’ To Help You Succeed! Being physically fit and well-prepared for a goal-event is the focus of every Athlete, and their Coach. And one of the most under-estimated components of preparation is developing Mental Toughness. In her article titled, Developing Mental Toughness: Are You Tough Enough?, Author and Professor Of Sports Psychology Carrie Cheadle outlines four components that every Athlete can use to develop their mental toughness. In this weeks BWC Coaches Corner Podcast we review the article and share our coaching experience to help you utilize the concepts of Commitment, Focus, Resilience, and Attitude to develop your mental skills. To review Professor Cheadle’s TrainingPeaks article on Mental Toughness, click here. We hope you enjoy the podcast, the training article, and will utilize both to better prepare yourself for a season of success! We are excited to be exploring a new way of sharing our Athletes' success! Instead of our typical 4-Question Athlete Profile Interview being shared in written format, this week we are delving into the world of podcasting to give you deeper insight into the hard work and preparation that our Athletes take-on to achieve their goals. 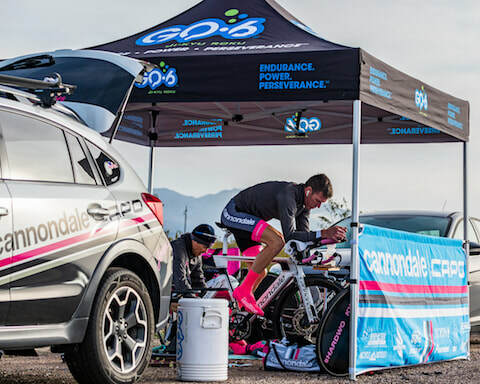 In our first episode of the BWC Podcast, we are excited to celebrate the Valley of the Sun Stage Race success of John Hatchitt and his Cannondale/Capo team! John scored a career-best performance to secure 3rd-place overall in what is one of the most hotly contested races in the southwest! We hope you enjoy the interview and will bear with us as we work to better produce future podcasts. Our goal with this new format is to share the passion and commitment that each of our Athletes exude as well as inspire you to be your very best! Until Next Time, Be Safe, Train Hard, And Have Fun! BWC Edition Swag Is Available From Pedal Industries! Spring time is not far off, and for Athletes everywhere that means increased training time and focused preparation for the early season, summer, and fall events on the calendar. But packing and double-checking all your gear for those events can be stress-inducing, even for the most experienced rider... enter the Pedal Industries Race Day Bag! Have you ever slept restlessly the night before your big race wondering, did I forget my computer? What about my nutrition? Do I have my cold weather gear if it is chilly at the start? Do I have everything dialed-in? Luckily, much of this stress can be minimized or eliminated by using the Pedal Industries Race Day Bag, which conveniently labels and organizes every bit of equipment needed for race-day. 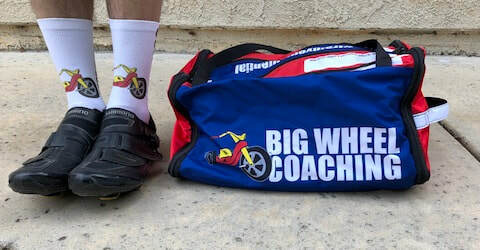 What's more, our friends at Pedal Industries have created a Big Wheel Coaching edition Race Day Bag that is available to everyone in our BWC community at a reduced price! In addition to the BWC edition Race Day Bag, Pedal Industries has also created an awesome BWC-styled hat as well as some great looking socks! Want to check out the swag? Want to have some cool BWC 'swag'? Ready to order? And when your BWC swag-bag arrives, please let us know by sharing it on social media! All of us at Big Wheel Coaching wish you a season of success and hope the simple organization provided by the Race Day bag can help you rest well before the big events on your calendar! Riding and racing bicycles started at an early age for Brady Kiss. 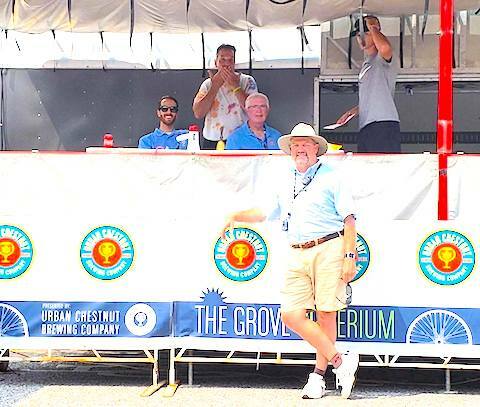 Long before he steered his education toward teaching and coaching Brady was a spending his afternoons and weekends at a BMX track, riding his MTB, or training on his road bike. As his High School focus started to shift toward college, the classic question, “what’s next” confronted him. The answer didn’t take long to come as Brady had always enjoyed helping his teammates on and off the course. He knew wanted to be a teacher and a coach. Fast-forward a few years and Brady had graduated college with a degree in Physical Education that was supplemented by a cycling scholarship. Straight-away he was offered an Assistant Coaching job from the school he graduated and proceeded to work tirelessly to help the team win multiple National Championships across many cycling disciplines over the next two and a half years. Now he is taking his coaching to a new level and working Athletes of all ages and abilities by creating individualized training with BWC rather than a one-size-fits-all team approach. It is with great excitement that we formally welcome Brady to our Coaching Staff and introduce him to our BWC family via the following four-question interview that mimics our regular Athlete Profile features. We hope you will enjoy this special edition Coach Profile of Brady Kiss! We are excited to welcome Brady Kiss and his coaching experience to the BWC family! Photo Credit: Jason Blodgett. Question #1: Welcome to the Big Wheel Coaching Family, Brady! But you are not new here and have always been in the family, so to speak. What got you into coaching and ultimately to join BWC? Coach Brady: I have always had an interest in coaching. I got a degree in Physical Education and was planning on doing a different kind of coaching. After I graduated, I saw how my racing experience could be translated into good coaching and help many people succeed in their cycling goals. 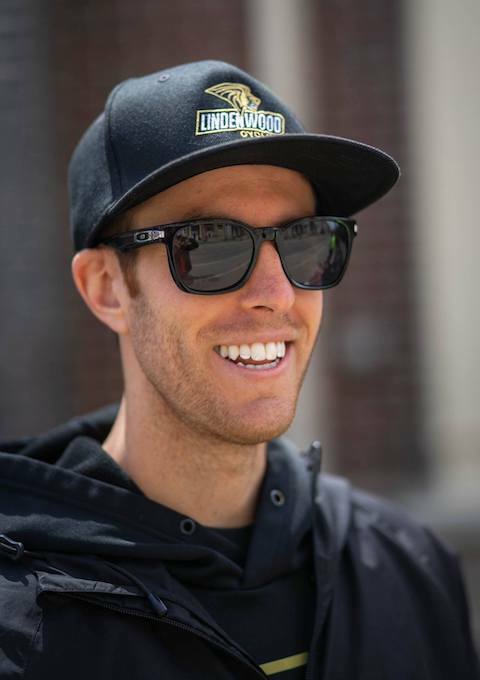 I started my Coaching career as the Assistant Coach of the Lindenwood University Cycling team, where I helped develop riders for all disciplines of cycling, including BMX, Cyclocross, MTB, and Road. I can say that I am very excited to bring all of that experience to the BWC team and learn so much more! Question #2: In just a short time you are already working with a few Athletes and are excited to help many more. What is one piece of advice you have for anyone thinking about getting a coach? Coach Brady: I would tell them to give it a try! Having someone (a well-trained someone), on your side to help you stay motivated and accountable to the tasks that will help you achieve your goals is very powerful. It’s a notion that is true in many aspects of our lives, but especially for any Athlete that sets a challenging goal for themselves. Having a Coach isn't all about the training plan, there are so many ways to help an Athlete achieve their best besides just making them strong. Cycling is both simple and complex. As a Coach it is my job to help my Athletes navigate the complex and not over-complicate the simple. Question #3: What is one aspect of coaching you are excited to bring to your Athletes and the Coach/Athlete relationship? Coach Brady: I love talking about strategy and tactics! Talking training and workout specifics is the first layer, and that never goes away, but once that is moving in the right direction I really enjoy being able to talk with my Athletes about the strategic and tactical aspects of their event(s). That is the best way to help them maximize their fitness on event day. Question #4: Flash forward one year from today, what will you be most proud to have accomplished in your first year of coaching with BWC? Coach Brady: My Athletes have some big targets and I have a passion to see them succeed at each of those goals. One year from today I want to have seen my Athletes crush their goals, but also feel really good about the work they put-in along the way! We hope you have enjoyed getting to know a little more about Coach Brady’s background and passion for coaching. As you can guess we are very excited to have Brady as a part of our BWC Coaching Staff as his diverse expertise and intense desire to help Athletes of all abilities is something special. If you are looking to take your performance “to the next level” we highly recommend connecting with Coach Brady to talk training, strategy, and how to achieve your very best. Leo Bugtai may have only joined the BWC staff recently, but his impact has been significant. With his Athletes already achieving great performances in Gran Fondo’s as well as various racing events we wanted to share his passion for Coaching with our BWC Family of Athletes and better introduce him. So instead of our typical 4-question Athlete Profile interview, we are proud to share a special Coach Profile edition of our newsletter featuring Coach Leo. We hope you enjoy the interview as well as get a feeling for the enthusiasm he is bringing to all of the Athletes he works with! 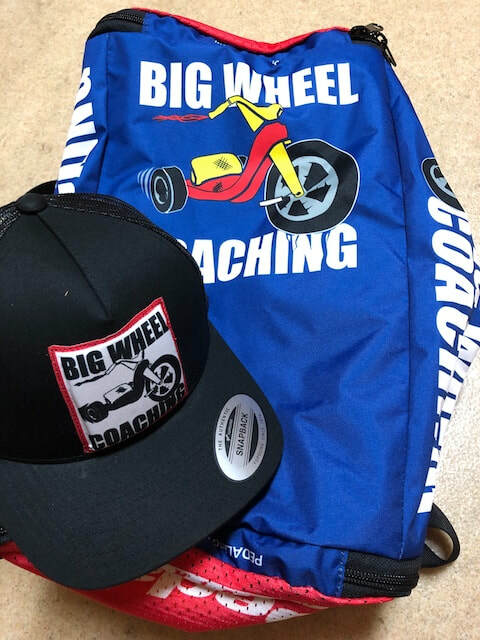 Question #1: Welcome to the Big Wheel Coaching Family, Leo! But you are not new here… you have been in the family for a while. What got you into coaching and ultimately join BWC? Coach Leo: I wanted to join BWC for a variety of reasons, three of which are their training methodologies, their extensive experience as professional Athletes, and their reputation for helping cyclists of all levels achieve their potential. Working with BWC over the last year and a half, as an Athlete, has been great. In my pursuit of national caliber cycling I knew I was going to face many challenges. BWC helped me conquer all of those challenges and helped keep me pointed in the right direction. Their relentless drive to help every Athlete, regardless of their goal or level, stoked my desire to follow-through on my long-held ambition to become a Coach! And here I am today as a member of the team, getting to work with great Athletes like Eric Zook, Arthid Pisuttipong, and Tony Magdaleno, to name a few! Question #2: In just a short time you are already working with a few Athletes and are excited to help many more, what is one piece of advice you have for anyone thinking about getting a coach? Coach Leo: One piece of advice for anyone thinking about getting a cycling coach is to “do your homework” and find the right Coach. I think it is important to develop a close-knit Coach/Athlete relationship in which your Coach is intensely focused on helping you achieve your goals. Ultimately, a Coach that values your goals, is willing to listen closely, and work with you tirelessly to help you achieve your best is the right fit. Coach Leo: There are many elements that I am excited to bring to my Athletes, but one of the biggest is experience. Having faced many challenges as a competitive cyclist, I quickly learned to both appreciate and develop the strategic element that must be honed to be a successful cyclist. It is an appreciation for the tactical element of cycling and how it compliments great fitness that I am excited to share with my Athletes. Explaining the layers of training and racing to help an Athlete maximize their results is my favorite part of the job! Coach Leo: I will be most proud of the Athletes that I work with and the work they put-in to achieve their goals! Outside of that, I am looking forward to all the “on the bike” Coaching opportunities we will have coming up at BWC. Each of these rides or events will allow me to share my Coaching perspective and cycling experience in a one-on-one setting like we did at the Team Tactics & Race Strategy Training Camp in January. We hope that you have enjoyed getting to know a little more about Coach Leo! Ever since Leo came to us as an Athlete we knew he would develop into a great Coach and be a great addition to the BWC team. And as you can see, his passion and focus on helping Athletes develop their fitness as well as the strategic elements of their cycling is top-notch! We are excited to say that Coach Leo is ready to help you #TrainYourPotential and achieve your best at your spring and summer cycling goals. So, please reach-out to schedule a consultation with him and start working toward the events on your calendar with purpose!